Shakeology Vanilla is available now! After two years of meticulous testing, we have finally added the incredible Vanilla formula to your lineup of Shakeology favorites. Learn everything you need to know about this new Shakeology formula! How can I get the new Vanilla Shakeology formula? The fastest way to get Vanilla in your hands is to order a bag or box of packets ONLINE beginning Friday, June 21st — just choose “Vanilla” in the dropdown menu. 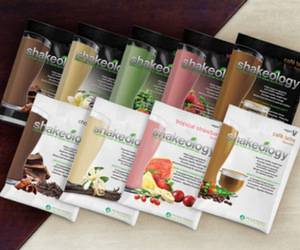 SPECIAL OFFER: through July 7th, 2013 you can get FREE SHIPPING on ONE-TIME orders of Vanilla Shakeology. Click here to order now. When will Vanilla Shakeology be available in Challenge Packs? We will be updating the various Challenge Packs—including the new T25 Challenge Pack—with Vanilla throughout the day on both Monday & Tuesday, June 24th & 25th. We expect to have all Challenge Packs complete with Vanilla by EOD Tuesday, June 25th. Spanish Challenge Packs will also be updated with Vanilla by EOD Tuesday June 25th. I’m currently on Shakeology HD for another flavor. How can I get Vanilla? 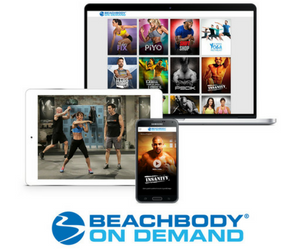 You can use the online modification form, located on TeamBeachbody.com under My Account. What packaging options are available for Vanilla? Is there a Chocolate/Vanilla combination? Vanilla Shakeology is available in 30-day bags and boxes of 24 packets. There is also an option to ALTERNATE between Vanilla and Chocolate bags on a monthly basis. Later this year, we will offer the vanilla/chocolate combo packets (12 vanilla packets and 12 chocolate packets)—stay tuned! Click here to order Vanilla Shakeology today! You once said that Shakeology would never be able to launch a vanilla version because of all of the chemicals used in Vanilla flavoring. How did they finally do it? Because we absolutely refuse to compromise on quality, it took years of searching and testing to hunt down a pure, flavorful, and ethically sourced vanilla bean that would meet Shakeology’s standards. By using this particular vanilla we are able to achieve complete traceability of vanilla beans coming from a multitude of small Madagascar farms. Through our purchase of these premium beans, we are helping to invest in a wide variety of training for the indigenous Malagasy farmers as well as the building and ongoing maintenance of schools in Madagascar, enhancing the educational environment & resources for more than 3000 children. Vanilla Shakeology has 130 calories, 16g of protein, 14g of carbs, 7g of sugar, and 2g of fat. For more nutritional information and the list of ingredients, please view or download the PDF on this Shakeology Vanilla page. We feel this is a responsible approach to help those with extreme sensitivities to such ingredients make an informed decision about the use of Shakeology.